Once she was Eon, a girl disguised as a boy, risking her life for the chance to become a Dragoneye apprentice. Now she is Eona, the Mirror Dragoneye, her country's savior - but she has an even more dangerous secret. She cannot control her power. Each time she tries to bond with her Mirror Dragon, she becomes a conduit for the ten spirit dragons whose Dragoneyes were murdered by Lord Ido. Their anguish floods through her, twisting her ability into a force that destroys the land and its people. And another force of destruction is on her trail. Along with Ryko and Lady Dela, Eona is on the run from High Lord Sethon's army. Sethon has declared himself Emperor. In order to stop him, the renegades must find Kygo, the young Pearl Emperor, who needs Eona's power if he is to wrest back his throne. 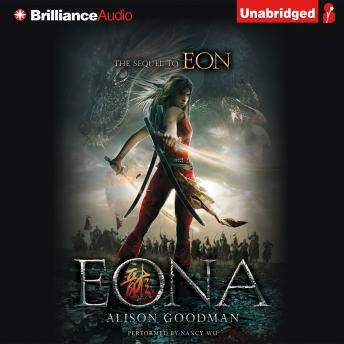 Eona, with its pulse-pounding drama, thrilling fight scenes, sizzling tension - and many surprises - brings to a close an epic story.